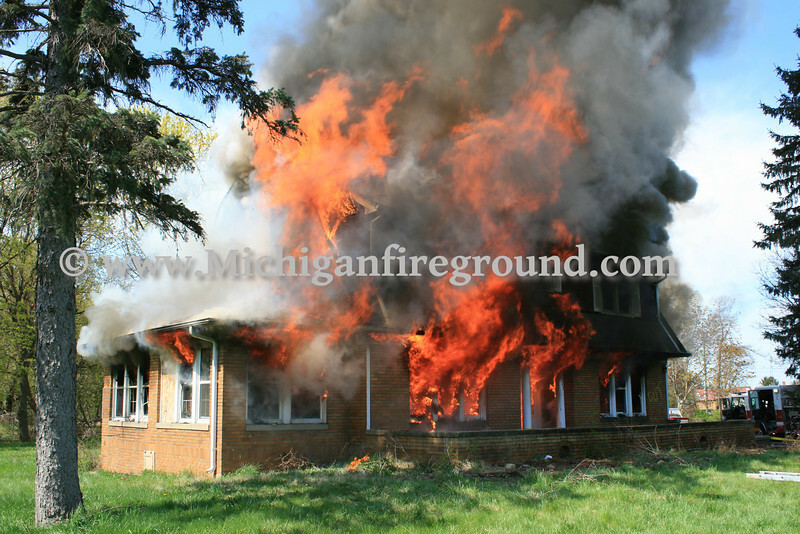 On Saturday, May 7, 2011, the Chelsea Fire Department and the Pittsfield Township Fire Department participated in a live burn training exercise at 12345 Fletcher Rd. Several smaller room sets were done and extinguished before the house was allowed to completely burn. I was told by a former resident this home was a Sears & Roebuck kit which was built in 1936.